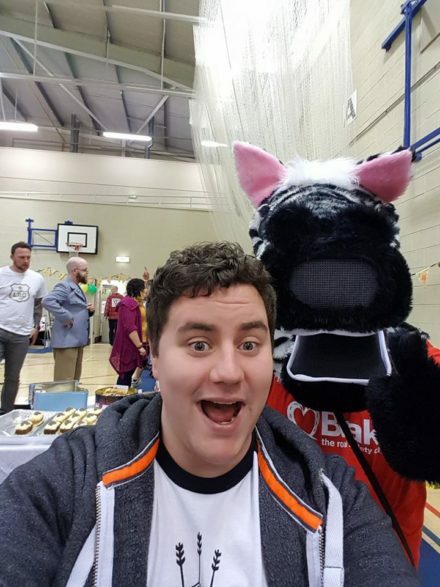 NRD are getting excited about the upcoming Louisey Rider Cup (LRC), so Leahviathan asked members what their favourite experience from previous years was. Here’s what they said. “The LRC is one of the best things that NRD do – it brings together the league for months of planning and working together to put on a memorable, sparkly fun day of spirit! At it’s heart, it brings together many skaters, announcers, officials, helpers and other awesome folks who raise money for a great charity! 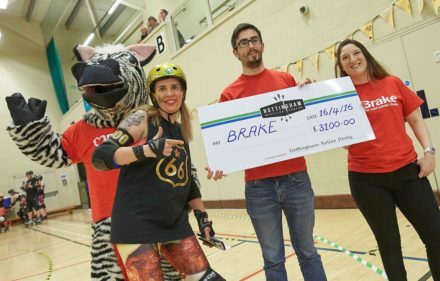 Nottingham Roller Derby presenting cheque to Brake. LRC 18 is happening on 28th April 2018. Spectator tickets are available online for £5. Further information about LRC and Louise is on our website: http://nottsrollerderby.co.uk/LRC. This entry was posted in Blog and tagged LRC by Leahviathan. Bookmark the permalink.